The Landmark Society and Preservation League of New York State are fighting to save a building in Seneca Falls from being demolished. 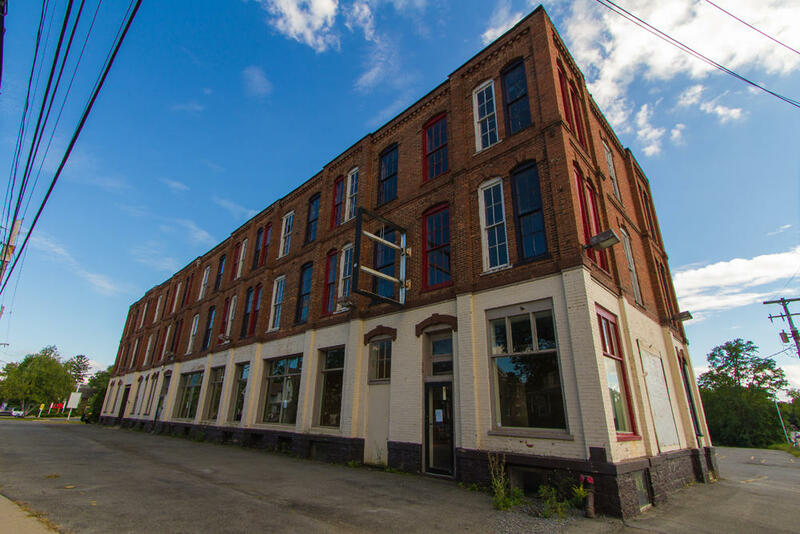 The three story Huntington Building was built in 1870, and was formerly home to the National Yeast Company, the Iroquois Motor Car Factory and most recently a car dealership. The Landmark Society also listed the Huntington Building in its 2018 Five to Revive series. But the owner, Peter Koch is seeking to demolish the building in order to sell the property to Circle K, an Ohio based convenience store and gas station. The Landmark Society and Preservation League of New York State are fighting to save a building in Seneca Falls from being demolished. WXXI's Caitlin Whyte has more. Doug Avery is on the Seneca Falls Town Board. "We've got people on the side of economic development that say go ahead a gas station is better than nothing, and people on the other side who say save the building at all costs." Avery says they are trying to walk a very fine line trying to see that everybody's rights and needs are tended to. She says advocates, himself included, want to repurpose the building to house apartments or artists’ studios. Larry Francer is the Associate Director of Preservation for The Landmark Society of Western New York. "It’s difficult to look at a community and say you have to save this building this is a beautiful building you have to save it, when its ben vacant for a while." Francer is hoping to change the narrative about the space and let people now there is potential to revitalize it. He says the building is the gateway to the town of Seneca Falls. And that there are enough convenience stores in the area. A public hearing will be held about the building on Wednesday February 12th at 6pm at the Seneca Falls Public Library.